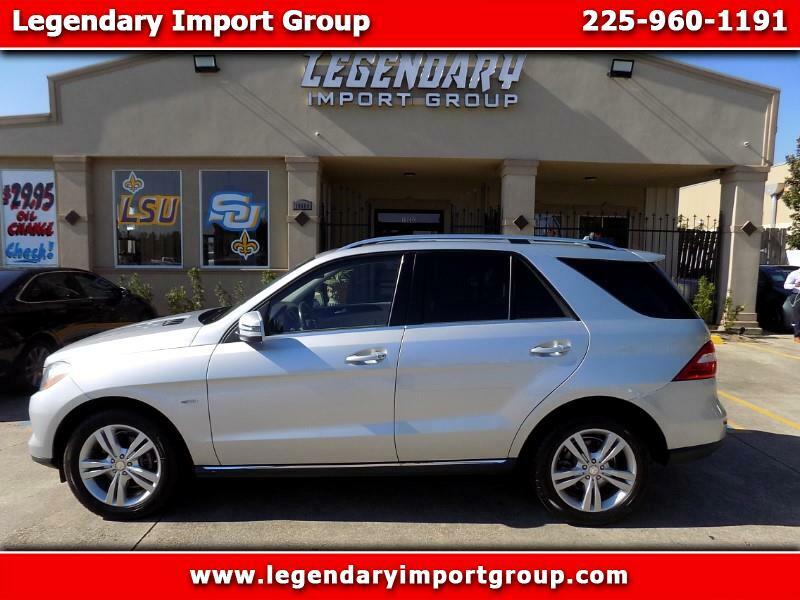 Legendary Import Group presents this CARFAX Certified no accidents 2012 Mercedes-Benz ML350. The 2012 Mercedes-Benz ML350 comes with a V6 engine that test drivers said has ample power in all situations. The 2012 M-Class has a comfortable ride, easily absorbing bumps in the road. The 2012 M-Class has a quiet, stylish cabin with classy wood and metal accents. The front seats are comfortable and there’s plenty of legroom in the back seat. The 2012 Mercedes-Benz ML350 comes standard with an eight-speaker audio system, HD Radio, a power sunroof, power-adjustable and heated front seats, a power liftgate, a USB port, Bluetooth and Mercedes' COMMAND infotainment system. Contact Legendary Import Group today to schedule your test drive.